Central Florida Premiere! A beautiful and comedic musical about a woman's journey as she grows up, grows older and finds new happiness along the way. Filled with tremendous humor and insight, this contemporary musical illuminates the age-old conundrum known as "self-discovery." 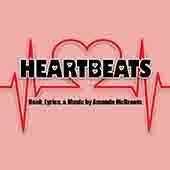 Featuring 20 songs by Amanda McBroom, including her hit song, "The Rose." *The performance that you selected is currently sold out. Please select another performance.